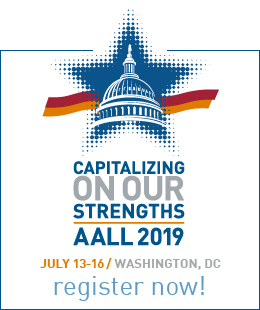 A grant to cover the cost of registration and travel expenses may be awarded to support attendance at AALL-sponsored educational events related to technical services (to include but not limited to cataloging, preservation, acquisitions, collection development, serials, electronic resources and management). Grants will not be awarded for non-AALL affiliated programs. The Marla Schwartz grant may be awarded to support attendance at any of the events listed above, and/or, it may be used to support attendance at CONELL. While an applicant for the Schwartz grant need not be a member of AALL or TS-SIS, the Awards Committee will give preference to those who plan careers in technical services law librarianship. 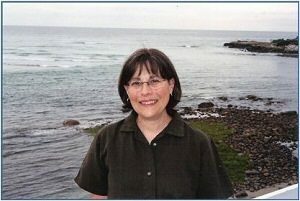 Marla was Head of Acquisitions and Technical Systems, and a tenured member of the Law Library Faculty, at the Pence Law Library at American University, when she died from ovarian cancer. Before working at American University, Marla was Serials Librarian at George Mason University Library and Assistant Head of Serials at the Gelman Library at George Washington University. She also worked as a technical services librarian at The Urban Institute and the U.S. Government Printing Office. Marla was active in professional library organizations at the local and national levels and a regular attendee of library conferences. She was a Board Member at Large of the Online Bibliographic Services Special Interest Section (OBS-SIS) of AALL and she served on the boards of the Law Library Society of Washington, DC, and the District of Columbia Library Association. She was Chair of the Serials Section of the Association for Library Collections and Technical Services, a division of ALA, and she served as the AALL representative to SISAC, the Serials Industry Systems Advisory Committee. Marla was an intrepid conference attendee. She frequently made the summer circuit of the annual meetings of AALL, ALA and NASIG. She would then wind up the summer by traveling with her husband, Howard Morrison, to Ogunquit, Maine to relax. The picture of her here was taken on one of those trips. More important than her significant professional accomplishments, though, Marla was a dear friend to many in the library community. Those who knew her admired her, appreciated her many fine qualities, and drew strength from her courageous four-year battle with cancer. A number of Marla’s friends and colleagues wrote tributes to her that were published in the December 2005 issue of Serials Review. A few of their comments: “What I most remember about Marla was her natural ability to mentor students;” and “She was inevitably likeable, upbeat, and funny. She obviously enjoyed living, being actively involved in librarianship, and spending time with people she enjoyed;” and “Recurring themes emerge from these tributes: willingness to mentor, making time for fun, taking care of business, and forming lasting friendships that began with small professional steps.” There is also a memorial for Marla in the winter 2006 issue of Law Library Journal (119 KB PDF). Marla Schwartz was a dear friend to many, active in professional library organizations at the local and national levels, and a regular attendee of library conferences. TS-SIS continues the tradition of honoring her memory and professional achievements by offering grants that enable newer law librarians the opportunity to participate in the work of AALL and begin to build professional networks by supporting their attendance at the annual meeting or an AALL-sponsored conference or workshop. Continuation of this commemorative grant depends on your donations. Contributions can be made online or through the mail. Contribute Online by choosing Marla Schwartz Grant Contributions (login required). When you do so, we would appreciate your letting TS-SIS know by sending a brief email to the TS-SIS Secretary/Treasurer. Contribute by Mail by printing and mailing the form and a check or credit card information. When you do so, we would appreciate your letting TS-SIS know by sending a brief email to the TS-SIS Secretary/Treasurer. 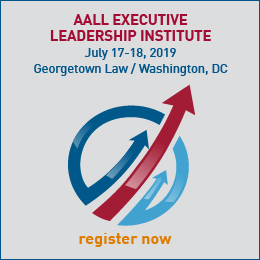 AALL is a 501(c)3 not-for-profit organization, and your contribution may be tax-deductible. You received no goods or services in exchange for your donation. To determine your options, consult with your tax professional. Tax ID #: 36-25-36424.